The Crazy Merchant, Inc. is the perfect place for fashionistas, crafters, bargain hunters and anyone with a philanthropic bone in their body. Whether you have the desire to create your own one-of-a-kind pieces or would rather indulge in the latest ready-made jewelry fashions, The Crazy Merchant, Inc. is the perfect place to come to accessorize. Not only is there a plethora of choices, their vast assortment of items has something for everyone. Accessories are magical! They can take an outfit from day to night, casual to fancy, or give any outfit that extra “oomph” that it needs to be fabulous. The addition of accessories can also update any wardrobe. If you have a plain white shirt, whatever style it may be, you can bring in a “pop” of color with your accessories. A few things you will find at The Crazy Merchant, Inc. to achieve this are assorted gemstone bangle bracelets, colorful pearl necklaces, or even one of the fine scarves that sell for only $20 each! The possibilities are endless. In order to dress up your daytime look, throw on some sparkle with some crystal or cubic zirconia earrings and a chunky chain necklace! You won’t have to break the bank to accessorize either, The Crazy Merchant; Inc. has every price point under the sun. If you want to spend $5 or $50, you are sure to find a fabulous piece. Beware of other costume jewelry; it may be detrimental to your health, literally! A recent study unveiled that some stores sell costume and fashion jewelry with toxins, like lead and nickel. The Crazy Merchant, Inc.is proud to sell only safe fashion and costume jewelry. Our fashion jewelry isn’t the only inexpensive way to accessorize. Do you have an older, outdated piece of jewelry? Bring it in! The design experts can help you refashion any piece of jewelry. It’s a great, inexpensive way to reinvent your accessories. Also, many people have the preconceived notion that it is mandatory to be “creative” or “artsy” to make your own jewelry, which couldn’t be more false. Go through your magazines, collect pictures of jewelry you like and one of our trained staff will help you create the perfect, custom piece for you. \ Whether you decide to choose from the enormous variety of fashion and costume jewelry or to make your own, you are sure to find the perfect accessories to complete your wardrobe. 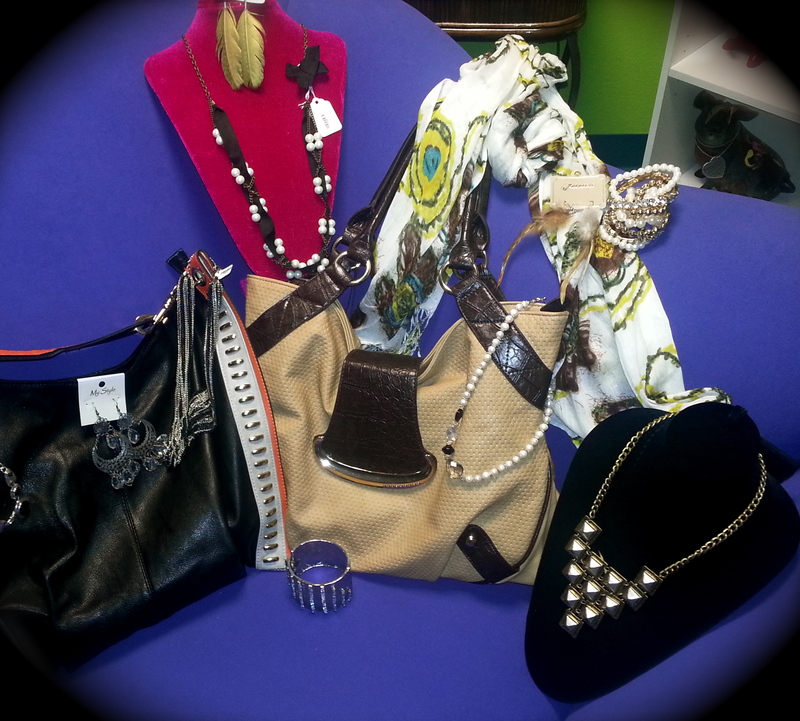 A stylist would find The Crazy Merchant, Inc. as a very helpful, one-stop-shop for their client’s accessories. There is a private conference room where the client can have an exclusive look at the stylist’s picks and not be bombarded with the extensive choices that are available in the store. They can also bring their new outfits and try on various “looks” with the potential accessories. Another perk for stylists, besides the 10% off their clients receive, is they can find a brand new accessories wardrobe for a very modest price. The Crazy Merchant, Inc. merchant can accommodate any budget and any style!